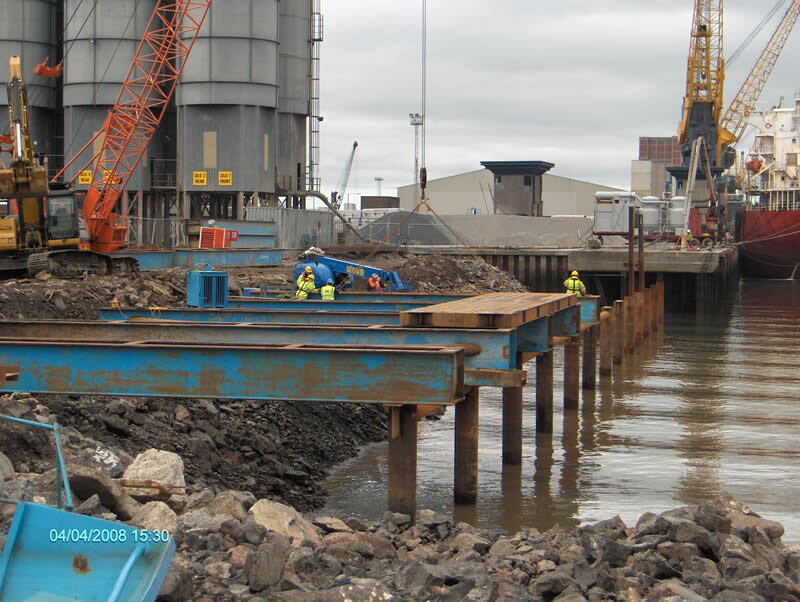 DAWSON-WAM were appointed as Main Contractor by the Belfast Harbour Commissioners for the design and build contract for Stormont Wharf Extension in the Port of Belfast. 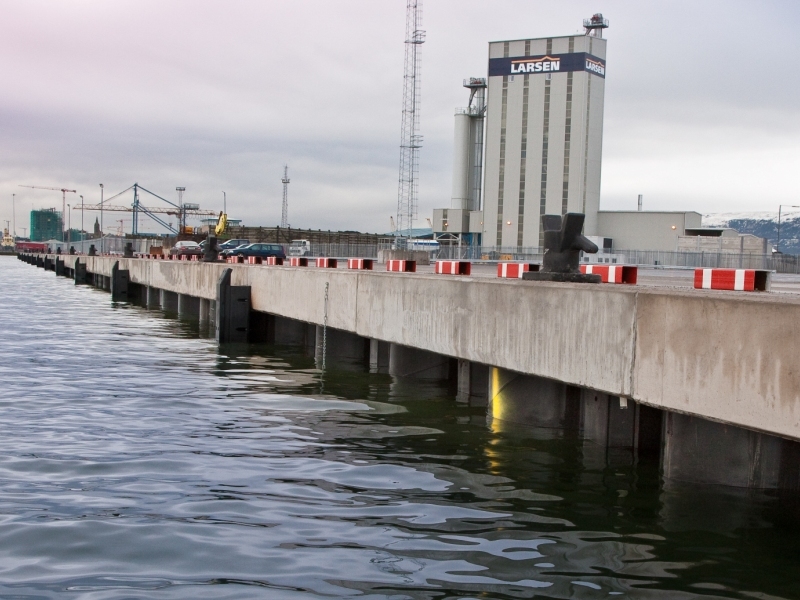 The works were designed to increase the length of the berth to over 1km, making it the longest deep-water facility in Ireland. 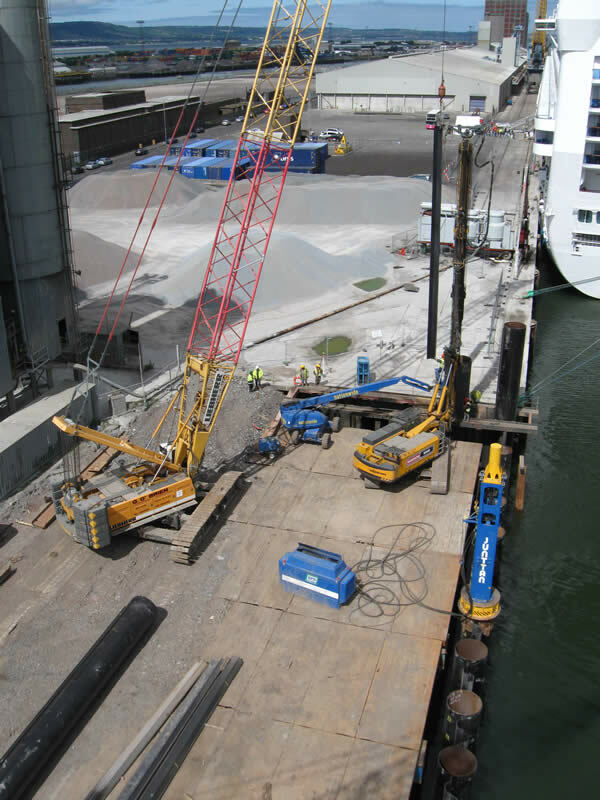 The 250m quay wall extension was built using a combi-pile system of 1420mm diameter tubular steel piles (driven to a depth of 24m) and PU18 steel sheet piles (driven to a depth of 18m). 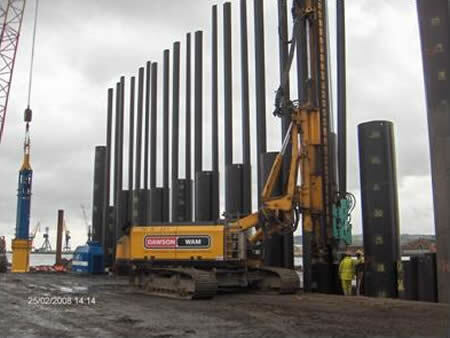 All the piles were driven by our 18/22 Piling Rig and back driven with an 8t impact hammer and 150t crawler crane. 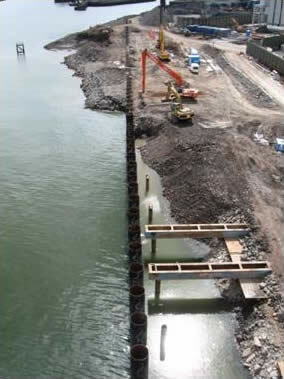 The quay wall was anchored to a reinforced concrete secant pile wall using 24m long, steel tie rods at 2.5m centres. Precast concrete capping beam units were fabricated off site and installed with a 70t crawler crane. A 4,000m2 reinforced concrete slab was then cast to the units, supported by 550nr 75t capacity reinforced concrete bearing piles. 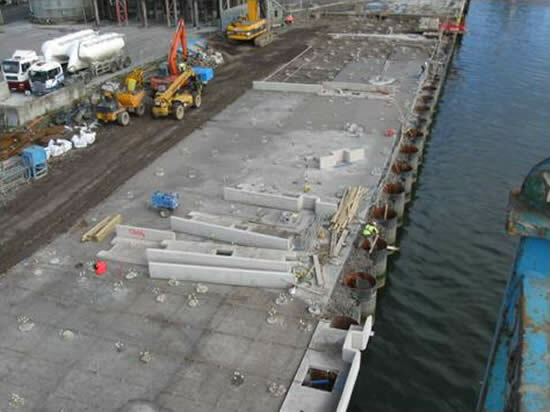 Within this slab 500 linear metres of crane rails were installed for a new quayside crane unit. As part of the contract 190,000m3 was dredged from the sea bed in front of the new quay wall and disposed off site by floating plant. A cathodic protection system was installed to include 450nr sacrificial anodes. 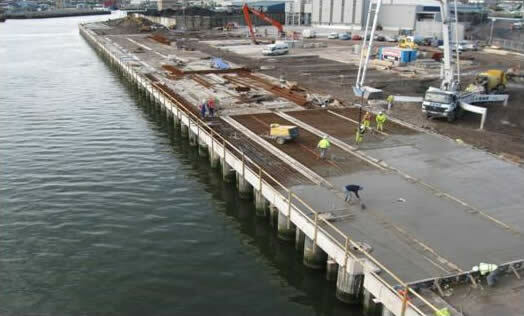 Ancillary works included 8500m3 of overlay tarmac with a concrete sub base, 21nr Trelleborg fender units were installed along the key edge with various safety chains and ladders, and 2nr. 30m lighting towers were provided to complete the works.